Posted December 25th, 2012 by David Porter & filed under Hot Topics, MailBigFile, Social, Technology. Are Christmas Trees As Environmentally Green As They Seem? Christmas Day thoughts about how environmentally friendly Christmas actually is. Or isn’t. Just as you take advantage of the Amazon Christmas sale beginning today, spare a thought for other issues about this time of year. You don’t have to be a Scrooge to be concerned about waste at Christmas. That’s waste as in money and resources, and waists for those who over-indulge themselves in a a season that effectively runs from Bonfire Night to the New Year. One such is Engineering and Technology magazine, where last year Mark Harris described the waste that was to be committed in Britain. 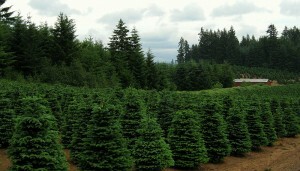 8 million Christmas trees will come down. One acre of trees creates the daily oxygen needs of 18 human beings. Enough wrapping paper to ‘smother Guernsey will be bought; billions of greetings cards will be binned. That is thousands of football pitches equivalent. If everybody sent one less card, and remember postage is well up this year. According to Harris, Greenpeace calculated that to produce 1kg of wrapping paper consumes 1.3kg of coal (if that is used to generate power) which emits 3.5kg of CO2, ‘plus impact of packaging and transportation’. They recommended the low-tech solution of using newspaper to wrap your gifts. The University of Manchester came up with an estimate that Christmas dinners would generate the same carbon footprint as 6,000 car trips around the world, with cranberry source alone making half the food miles. Our recycling as a nation is improving year on year, 40% recycling nationally and close to 50% in the east of England. There is more awareness and better technology and facilities. However, we still create well over 20 million tonnes of it, three million attributable to Christmas. Batteries seem to defy most recycling ambitions. Harris said ‘the average Brit will buy 10 non-rechargeable alkaline cell batteries for Christmas, and a mere 2% or so of them will be recycled. This is a shame because most domestic batteries are easily recycled with valuable zinc, manganese, steel and carbon recovered. Other equipment is not so well catered for. Harris said that ‘toxic mercury in the cold compact fluorescent lamp (CCFL) backlights means that most of today’s flat screens are hazardous waste.’ Washing processes, shredding in sealed units, black plastics and polymers found in TVs remain unsolved. During the holiday, 15 million tonnes of food worth about £1bn will be scrapped! Most of this is because too much was prepared or people have gone off it. Food waste has also mounted in terms of packaging and transportation, storage and disposal. Work is being done to reduce packaging, but it is slow at best. Wine is imported massively for the season, mainly from Australia, California, Argentina and New Zealand. There is then a massive surplus of green glass, much of which is re-exported. Now much wine comes in through bulk ‘flexitanks’ that Harris called ‘enormous toughened balloons’ capable of holding 32,000 bottles worth compared with a shipping container that could carry 12,000 glass bottles. Supply chain logistics are constantly being improved by technology: food and booze miles are being tackled. Even soft drinks get the treatment. Tops and bottoms of aluminium cans are lightweighted. Supermarkets are actively embracing the green agenda, with many now lighting and heating themselves on only renewable energy. Tescos sends no waste directly to landfill and recycles all cardboards. Sainsburys promised no landfill by 2020. Some Tesco centres have automatic recycling machines that reward can recycling with Clubcard points. High speed cameras as a centre in Essex are scanning plastic bottles to see if they can be re-used/recycled for food products. Plastic film that covers food is reaching the point where it can be compressed, cleaned, dried and extruded to produce tiny black pellets with a value of £450 a tonne. Exciting new developments like composting, anaerobic digestion of waste, use of biogas are now coming on stream throughout the developed world. Southwold brewery Adnams uses waste barley to produce biogas to power delivery lorries. They have said that brewing 600 pints of beer generates enough biogas to heat a home all day 25th December. Prime global aluminium producer Alcoa reckons that US landfills, for instance, contain more aluminium ‘than we can produce by mining virgin ores’. The commercial exploitation of landfill is the next phase. Choose locally produced where possible, support organisations trying to close the ‘waste loop’ and go for it! That is the up-beat message. Technology is riding to the rescue of the planet. The other side of the coin is that all the trees, cards, wrapping and gifts we buy actually create and sustain jobs for people….. But then again, there are thousands of jobs in recycling and waste management…. Enjoy yourself! Unless anybody is up for a virtual Christmas?